For me, there is nothing better than coming home after a long day and tucking in to a nice juicy burger. One of my favourite things about Weight Watchers is that you can do just that and not have to feel guilty in the slightest! I’ve got quite a few burger creations on my website already but this one might just be one of my favourites. How did it come about? I had turkey mince defrosting and an urge to create something new. I had a look in my fridge and remembered I had some left over Thai curry paste and VOILA, a new recipe was born. If I say so myself, the result was delicious – the burgers are packed with flavour and are a real bargain points wise (only 1sp each). I served my burger doubled up in a Warburton’s thin (I was hungry!) 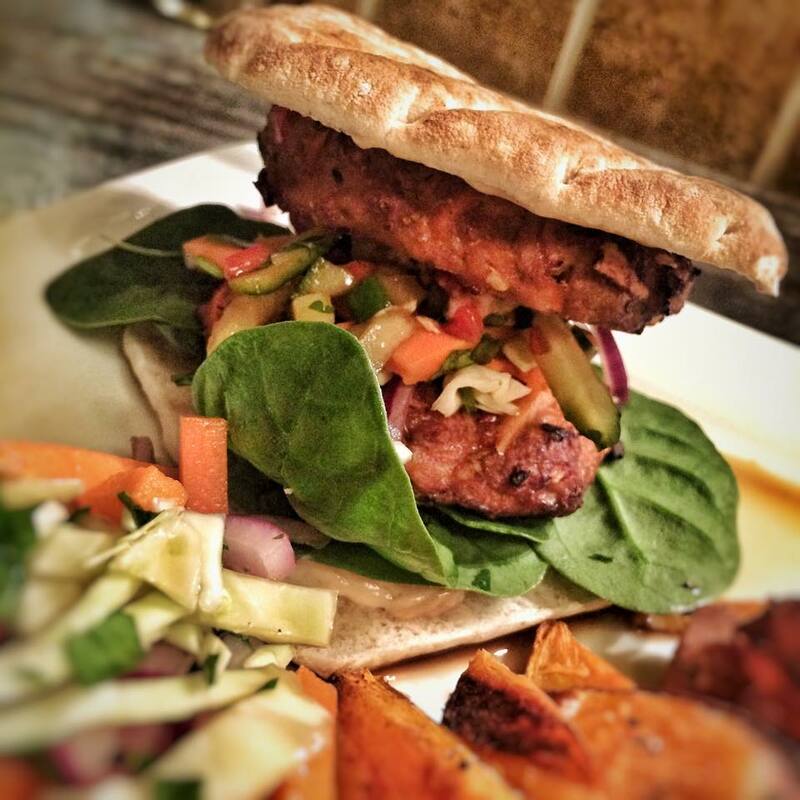 with Butternut Squash Chips, Cucumber Relish, a quick Lime Slaw and Hoisin Mayo. 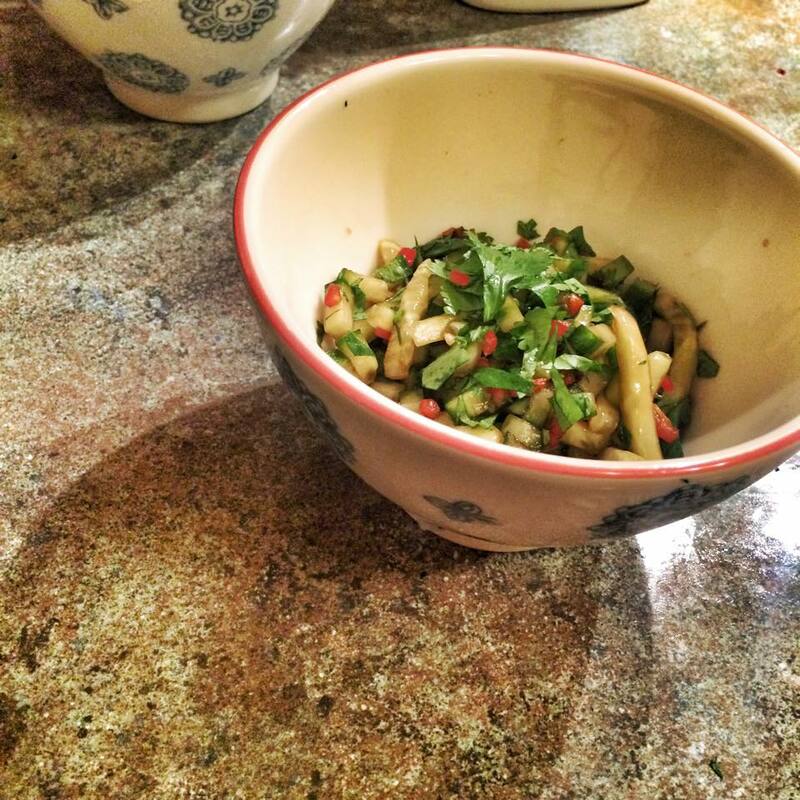 I’ve popped the recipes for the accompaniments below too. They are worth a whirl as they are really easy but feel free to adorn this burger however you fancy. My burger consisted of a swirl of sweet chilli sauce and hoisin mayo on the Warbie thin, salad leaves, the slaw and the cucumber relish. It would be equally as nice with a slice of red onion, tomato and lettuce and normal light mayo. The world’s your oyster! The below ingredients list makes 10 decent sized burger. Each burger is 1sp (flex) on its own. I cooked up 4 burgers and froze the rest in baking paper. Pre heat the oven to 180c. Pop all of the ingredients in a bowl, season and combine well. Prepare a baking tray spraying with 1kal. Split the burger mixture roughly into ten evenly sized balls. Using your hands press the mixture together and form into burger patties. Pop onto the tray and press lightly with your fingers to flatten out a little. Pop in the oven for 20 minutes (or until cooked through). Remove from the oven and serve with what ever you fancy. I had a Warburton’s thin for 3pp. Cut your cucumber however you fancy it. I diced it but it would be equally as nice in matchsticks or ribbons (use a potato peeler). Pop into a bowl. In a small bowl mix the soy, sugar and chilli together. Leave for a minute, stir again and then pour over the cucumber, combining well. Just before serving, toss coriander through. 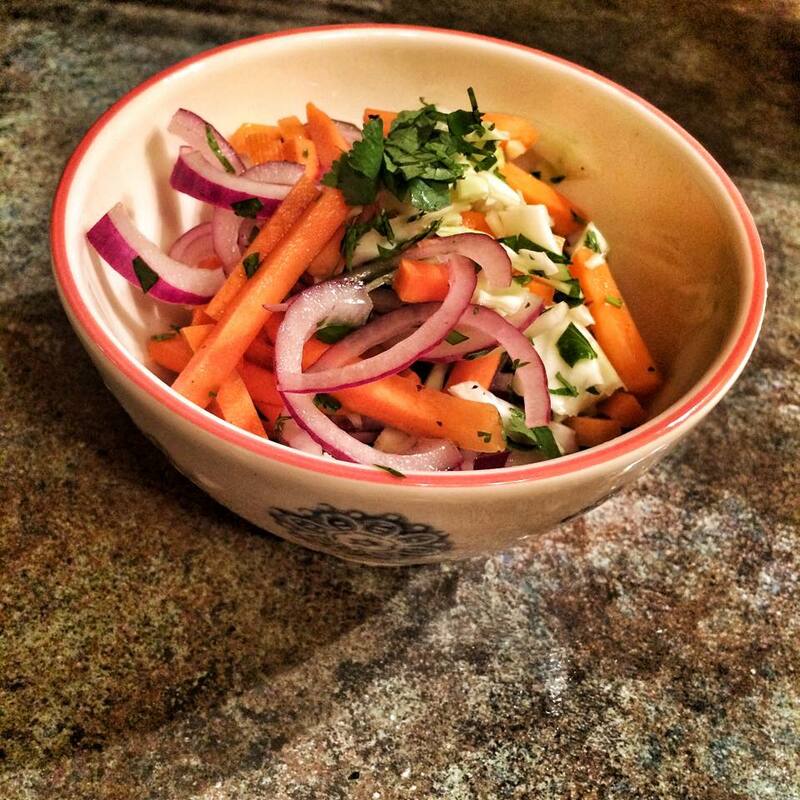 Pop carrot, cabbage and red onion in a bowl. Pour vinegar and lime over, season and toss together. Just before serving, toss coriander through. Oh my lord! Delicious is not the word! Made these, an absolute hit with the whole family. Also made them as meatballs with a veggie pad Thai from WW app….still low in points and very tasty indeed. I simply love your site! Hi can you tell me how many points per burger if it makes 10 burgers? Is 6 points for 1? Made these tonight, they were gorgeous!